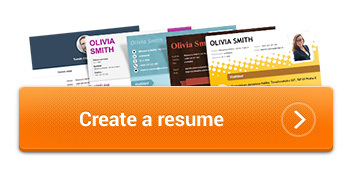 A professional structured CV to make your new company notice you! Read about how to write the most efficient sample professional CV. Perhaps you are wondering whether it is actually possible to influence the efficiency of your professional CV in any way. Yes, it is possible. However, in order to know how to do it, you must first understand what is important for the employer in his/her selection of new employees. There are good and bad companies, just as there are good and bad employees. The aim of selection procedures is quite a strict selection among the job applicants to find only the best ones. And this selection is done not only on the basis of their motivation letters. DEFINITION: A professional CV is a brief list containing a cross-section of your life in relation to the labour market, from your studies up to the present. Your motivation letter and your professional CV go to the new company as one document. If you get through the first pre-selection, you are invited to a job interview. You still have not won even if you have been accepted because what follows is a trial period. The above-mentioned steps show an important thing: although you may be perfectly prepared for your trial period or job interview, if you underestimate the creation of your professional CV, or if your professional CV does not look good and of high-quality, or if it contains misprints and mistakes, you will not get any further and all the other preparations and energy will come to nothing! And that‘s certainly what you don’t want. A model CV is very important. Let’s look at an ideal professional CV, a professional CV which is not only correct, but also different, original and innovative. Perhaps you think that it all sounds very nice, but how to do it? The instructions you are reading will help you create a professional CV with exactly the mentioned qualities. Pay good attention please and carefully examine the following elements of a successful professional CV. We could go on. Perhaps you may think that writing a professional model CV does not seem to be such a difficult task. But if you are really serious about your future and realize the huge competition of the other unemployed people who are aspiring to get the job you want, it must be absolutely clear to you that a professional CV example can play a vital role in your life and must not be underestimated. At this moment, you could open a text editor and set about working with enthusiasm (to create your own professional CV) or you could start searching the Internet to find a ready-to-use professional CV to be simply modified by you. But I will stop you – don’t do it! Why not? Because the result will be, even if you do it well, just an average professional CV, the same CV all the other competitors trying to get your job have. Is it realistic for the HR worker in the company where you are applying for a job to notice your professional CV if it is the spitting image of or is very similar to hundreds of other CVs? Have you got the message? Precisely, that’s it! This is the heart of the matter. Only those who are able to extricate themselves from ordinariness are successful nowadays; and you certainly are not an average person – you want to get ahead in your future! Therefore, please realize that time is moving all the time; and this applies doubly to human resources! The knowledge of how to write a CV is becoming ever more valuable. Therefore, get acquainted with a modern online service, which has been created in consideration of today’s highly competitive environment. This service is the so-called online CV generator, which is able to distinguish you from the others and draw the attention of your new employer to your professional CV sample, which will make the first, crucial impression for you and make you the one to move ahead to a job interview.